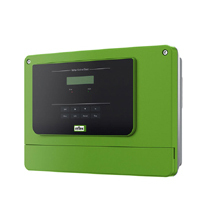 With its Fillcontrol range, Reflex enables controlled, automated water make-up with all common system configurations in heating, cooling and solar systems. For maximum design flexibility as well as full functionality and perfect networking with the entire system, from pressurization stations to softening solutions. 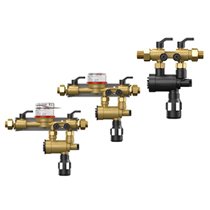 Fillset water make-up fittings are a pre-fabricated valve assembly including a system separator device in accordance with DIN EN 1717, enabling a permanent connection of heating or cooling water systems with potable water systems. Fillset can be used directly for the manual replenishment or can be installed upstream of automatic solutions, such as the Fillcontrol Auto. Fillset Impuls with contact water meter, which can be readout by all Reflex Control units. 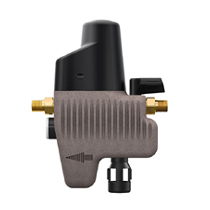 The addition of make-up water into systems with diaphragm expansion vessels can be this easy. The Fillcontrol Plus offers the complete operational scope of the Reflex Control Basic control unit, even for small systems. A Fillset can be connected upstream for the system separation of drinking water networks. 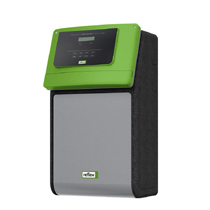 For special fields of use, the Fillcontrol Auto is also offered in a design compatible with substances containing glycol. The functional scope is the same as that of the Fillcontrol Auto. However, there is no network separation container, because on-site make-up containers tend to be used, e.g. the mixing container in solar systems. The compact solution for small systems with diaphragm expansion vessel. The system separator in accordance with DIN EN 1717 is already integrated, with the control unit working completely self-sufficiently via the integrated system pressure sensor. The Fillcontrol Auto Compact combines a maximum level of flexibility and operational comfort. 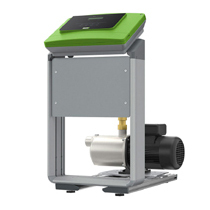 With its integrated pump, it works completely independently of the pressure of the fresh water network. It can be operated independently of both pressure and level. The Fillcontrol Auto can be connected directly to the network separation container. 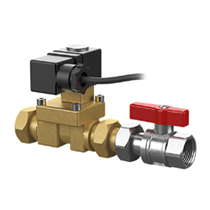 If a Reflexomat pressurization unit is used, make-up water can be added directly using a solenoid valve with ball valve. The Reflex Control system of the Reflexomat activates the function if the filling pressure in the expansion vessel is exceeded. A Fillset is connected upstream to separate the system when feeding in from the potable water network.